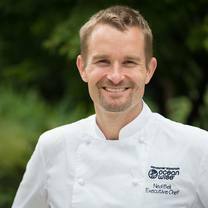 Canadian TV personality, executive chef, cyclist and father; Chef Bell is the Ocean Wise Executive Chef, Vancouver Aquarium. "Incredible meal last night @labananeresto scallops, Albacore tuna, turbot, eurobass, it was all delicious." "Perfect Smoked BC Geoduck Nigiri at Masayoshi #omakase"
"The most delicious Atlantic mackerel I've ever had. #eatwholefish"
"Super delicious East Coast Lobster, Crab & Shrimp Rolls at Luke's Lobster #traceability"